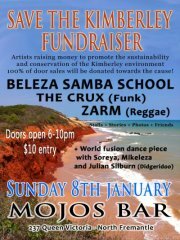 SAVE THE KIMBERLEY fundraiser at MOJOS Bar in North Fremantle on January 8! 2012 A GREAT YEAR FOR FREMANTLE! * Fremantle Mayor Brad Pettitt orders that all internal doors at Town Hall are to be removed so people can’t accuse him of doing deals behind closed doors. He will also broadcast all meetings he has via loudspeakers onto Kings Square. * Fremantle Society president Roel Loopers announces the group will apply to build a 15 storey, fully sound and sight proof retirement tower on the Target site, so older people who want the inner city living experience don’t have to endure the noise and sight of people enjoying themselves. * John Longley reveals the ISAF 2011 visitors numbers: 3.7 million people came to Fremantle for the sailing event, leaving 89 million dollars in the coffers of local businesses. It’s bigger than ISAF is now a common expression in the port city. * The state government makes the relaxation of the liquor licensing rules, introduced for ISAF, permanent but with restrictions. People can stand up while drinking but must hold on to specifically installed drinking poles in places like the XWray café. * News helicopters are seen over Fremantle, while on the ground photographers and cameramen are scrambling to get photos of CEO Graeme McKenzie, who has never been seen walking the streets of the city before. In a doorstop interview the CEO promises his team will get at least one thing right in 2012 and do it 100% instead of the traditional 70% is good enough work attitude we are used to in this city. Graeme also mentions pigs do fly. * Fremantle Herald owner Andrew Smith promises his journos will get all the facts right next year. Andrew also says he deeply admires Freo council and that pigs can fly. * Compulsieve blogger Roel Looopers pledges his Englisch will bee perfact next yea. Roel also mentiones his disloike for red whine and typos and that piks can fly. * John Longley calls an urgent media conference to apologise for getting the ISAF numbers wrong. The correct figures are that 5.2 million visitors came to Fremantle, spending 101 million dollars here. * Artsource advises the City of Fremantle that making Arthur Head into an arts hub won’t create the vibrancy needed in the West End, but making it into a red light district would. * Former councillor John Dowson can’t find anything to complain about in 2012 and tells close friends deep in his heart he always wanted highrise in Fremantle as it compliments his modern black Porsche better than heritage buildings. * Kidogo Art House operator Joanna Robinson baulks at the suggestion she’d have to pay full commercial rent for the space if she continued with the Kelp beach bar, because she I supplying a community service, she claims. * Councillor Andrew Sullivan admits he spends a lot of time on Rottnest Island because he likes the human scale there and that Fremantle’s multi storey buildings depress him. * A survey asking Transperth bus drivers what they think of the new Wray Avenue roundabout receives the same answer from all drivers; what roundabout? * The W.A. Circus School is told by Artsource supremo Jude van der Merwe the sky is the limit or to buy a big top. * Highly paid placemaker David Engwicht does daily workshops throughout 2012 on how to revitalise Kings Square, because the City of Fremantle killed the city square by allowing the only activity there, the Village Market, to falter. * Adele Carles announces she will contest the seat of Fremantle for the Liberal Party, while councillor Bill Massie joins the Greens. * After ten losses in a row the Fremantle Dockers football club beg Mark Harvey to come back and be their coach again. He tells them where to stick it. * Western Power believes John Longley is the solution to the state’s energy problems, because of his uncanny ability to produce hot air. “That is a real asset we need to utilise.” a spokesperson enthuses. * Fremantle’s light rail gains weight with the existing Perth-Fremantle passenger service to be extended to Coogee, using solar power. * Premier Colin Barnett announces that he new Fremantle traffic- bridge will be a copy of the Sydney Harbour Bridge. Copyright on the harbour bridge plans has expired, so we can get the design for free, the premier explains. * The old South Fremantle Power Station will become a wind farm. The draught created through all the broken windows will be harvested. * John Longley calls another media conference where he mumbles something about getting old, as the real figures for ISAF are now 6.9 million visitations and 15.76 million of Monopoly dollars spent in Fremantle. * Digital parking signs are rejected by the Greens on council, who support a huge parking area at North Quay, where motorists will receive free bicycles to ride into town. * State tourism agency Eventscorp apologises to the people of Fremantle for naming Perth Isaf 2011. They thought Fremantle was in Tasmania and only recently discovered there is also a Fremantle in W.A. HAVE A VERY HAPPY AND HEALTHY NEW YEAR!! When is graffiti art, when vandalism, is bill posting ugly or also a form of urban art? These are questions that intrigue me, as I am often annoyed about the defilement of walls but sometimes it also fascinates me and I can see a certain beauty in the juxtapositions. There can be beauty in the ordinary and ugly when one keeps an open mind. Is the creative glass half full or half empty? Kulcha Multicultural Arts of WA is a dynamic arts organisation dedicated to promoting, presenting and developing culturally diverse arts and artists in Western Australia. Based in Fremantle, Kulcha coordinates a diverse range of vibrant arts activities. These include a performance venue program, community and regional arts events, and a community arts outreach program. We also provide agency and advocacy services for culturally diverse artists. You’ll coordinate Kulcha’s arts programs and manage the artist agency service. Ideally, you’ll have excellent experience in programming and coordinating arts events, exceptional organisational, interpersonal and communication skills, a strong knowledge of the multicultural arts sector and a demonstrated passion for culturally diverse arts. You’ll coordinate the financial operations of the organisation, including general accounts, strategic planning and financial reporting to the General Manager and the Board. You’ll need extensive MYOB and financial reporting experience, strong management accounting skills, excellent organisational, interpersonal and computer skills, relevant qualifications, and preferrably an interest in working in the multicultural arts. Download the Position Descriptions at http://www.kulcha.com.au/employment. To be shortlisted for an interview, you must provide a written response addressing the Selection Criteria and a current CV. by 5pm Thursday 19 January 2012. Late applications will not be accepted. The proposal by the City of Cockburn to create three mega councils is an interesting one, but not one that I support in its current form for Fremantle. Cockburn suggests to merge Fremantle with Melville and East Fremantle, but while I believe a merger with East Fremantle makes commons sense, Fremantle should also receive a slice of Cockburn, so it will get authority over northern parts of the City of Cockburn, like Coogee, which is much closer to Fremantle’s CBD than Melville is. A merger of Cockburn and part of the Town of Kwinana also sounds sensible enough to have a closer look at, as does the merger of the other part of Kwinana with the City of Rockingham. We know the City of East Fremantle is against merging with Fremantle, so it will be interesting to see if the Minister for Local Government will force a merger between the two councils. 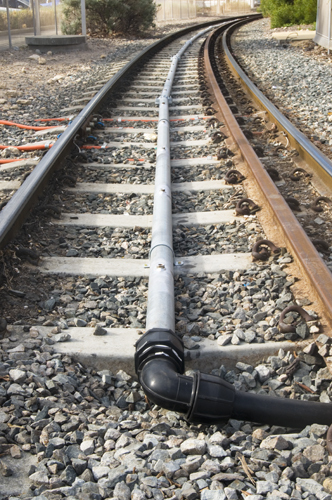 A pipe has been installed between the rails at the west end bend near Phillimore Street of the line between Fremantle and Kwinana, to test how to reduce the wheel squeal the container trains make in that area. Water will be squirted onto the rails whenever a train passes through. Now hoping this will not effect the traction the trains need, like it did some weeks ago at South Beach in heavy rain, when a train could not move for quite some time and the driver was seen throwing sand on the rails to try to give the wheels of the loco some grip. The noise affects the sleep and home comfort of west end residents, especially in Little High Street, and Fremantle Ports and FICRA have been working together to find a solution to the problem. FotoFreo has announced the inaugural WA Life photographic competition, which is expected to become a regular event in future Festivals. The theme of the competition is to capture an aspect of life in Western Australia – living in WA; at work in WA; in our leisure time in WA, and so on. For FotoFreo 2012 there will be a prize pool valued at $10,000 and the First Prize will be $5,000 cash. Other prizes will include The Runner Up and a Popular Choice. The WA Life competition is open to professional photographers, students, and enthusiasts. There will be an entry fee of $50 per photographer and for which up to three entries may be submitted. Entries close at 5pm Western Australian time on Sunday the 29th of January, 2012. HAPPY CHRISTMAS YOU LOVELY FREO MOB! 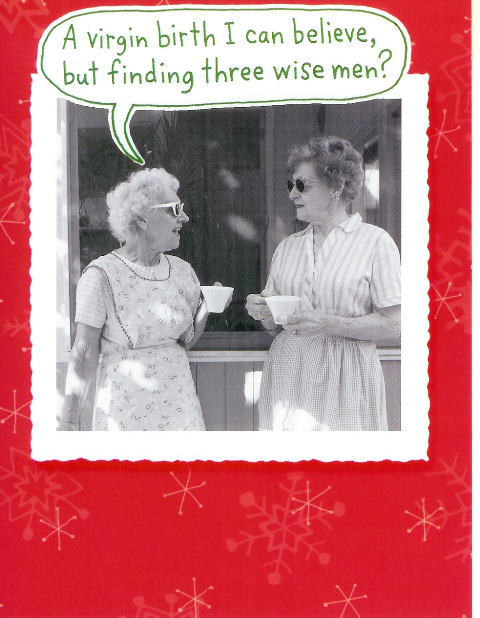 HAVE A VERY HAPPY AND RELAXING CHRISTMAS EVERYONE!!! By next year’s Christmas I aim to be perfect, and not upset the people I love. I will try to be more respectful to those I disagree with, and sometimes even keep my big mouth shut, before passion takes over and short cuts my brain. I will keep trying to make myself and Fremantle a better place. I hope this blog will remain relevant and vibrant, and promise to treat issues with an open mind and people with an open heart. P.S. Keep in mind I am a man and that perfection does not come natural to us. I find architect Linley Lutton‘s columns in the West Australian newspaper always thought provoking and his latest article again has relevance for Fremantle and the proposed Planning Scheme Amendment 49. Lutton this time criticises the state government plans for Perth Riverside Drive and points out not only the the fact that the development faces in the wrong direction, but also that there is no need for all the office space proposed. He also mentions a desolate new area full of highrise in Singapore, while down the road a low rise development attracts thousands of people. Fremantle hopes developers will build massive areas of office and residential space in the inner city, but Lutton points out all the development going on in the Perth CBD will mean an oversupply of office space with an estimated total of 795,000 square metres being added to existing office space there. With mining related business occupying 55% of Perth office space, Lutton asks who will need all that new commercial space. Luttons concerns are very relevant to Fremantle. Who would occupy the proposed office space here when the Perth CBD is already oversupplied before we have even started, or would we end up with large empty buildings devote of occupancy and life? Lutton also believes that international economic uncertainty will see the financing of apartment buildings be difficult for a considerable time to come. Could this mean Fremantle creating a ghost town of office buildings without the desired influx of new residents? In light of Linley Lutton’s article it is advisable the City of Fremantle treats new development plans very carefully and does not let wishful thinking take over from common sense.